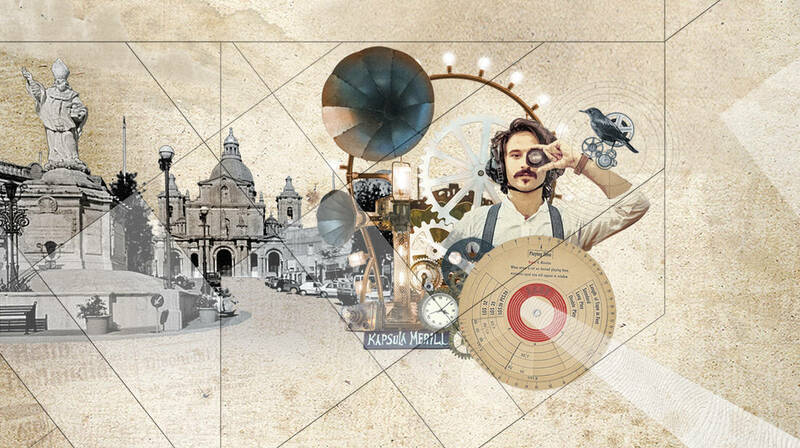 Magna Żmien presents KAPSULA MERILL, the Magnificent Memories Machine – Landing #6 – a night dedicated to the collection of local memories and a tribute to Siġġiewi, as part of Valletta 2018’s Cultural Programme. The event is taking place on the 13th of December (17:30), in St Nicholas Square, Siġġiewi. The program features a time-machine performance by Armchair Voyager Wistin and the Banda ta’ Memorji Meraviljużi. This will be followed by an audiovisual installation with music and sounds by Yasmin Kuymizakis and Jess Rymer, and visuals by Tiny Island Studio. Armchair Voyager No. 35, Wistin, is presenting a unique opportunity to save our individual and collective memories. Utilising wireless headphones, the audience will be able to participate interactively, switching between two channels and two separate soundscapes. Since its inception, Magna Żmien has been carrying out research with the help of the local councils in four locations: Kalkara, Mellieħa, Siġġiewi and Victoria, Gozo, encouraging locals to contribute their collections to the project for digitisation. People from all localities are encouraged to participate. Magna Żmien is a movement to collect, convert and make available fading memories through the digitisation of sound and image home collections. These salvaged memories will provide a fertile collective context for present and future cyberspace navigators and storytellers. Don’t miss this opportunity! This event forms part of the Valletta 2018 Cultural Programme, organised in collaboration with the Siggiewi Local Council. To submit your collection and for more information visit the Magna Żmien website www.magnażmien.com, call on +356 7706 0232 or visit www.valletta2018.org. Magna Żmien is created by Andrew Alamango and this event is organised by Andrew Alamango, Nicole Blackman, Janelle Borg and Valletta 2018 – European Capital of Culture. Valletta 2018 Premium Partners: General Soft Drinks Co. Ltd, Coca Cola, Bavaria and Bank of Valletta.